Beaver River IPA from Beau’s is Back! VANKLEEK HILL – (Mar. 23, 2015) Beau’s Brewery has brought back their award-winning spring seasonal IPA for a 2015 engagement. 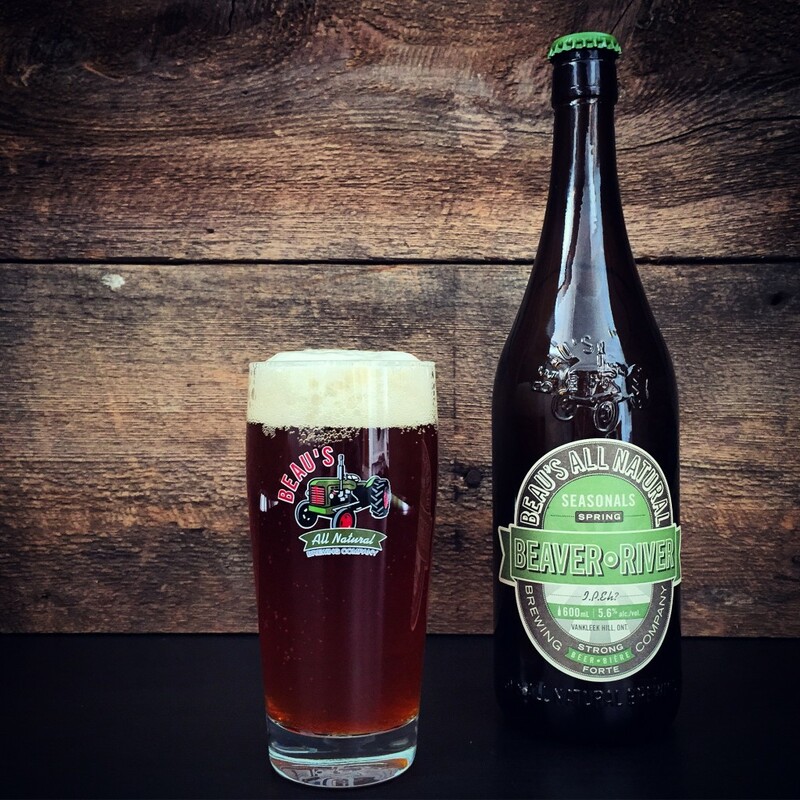 Beaver River is an assertive yet-very-drinkable India Pale Ale that marries the typical flavour profiles of the British and American interpretations of this hoppy beer style. Beaver River will be available for sale this week at most LCBOs in Southern and Eastern Ontario, and will also become available in Québec later this spring. Beaver River IPA is Back! Beaver River won Gold at the Canadian Brewing Awards in both 2011 and 2013. The 5.6% alc./vol. IPA is unfiltered to allow a full spectrum of bready malt and caramel flavours to come through, and it is dry-hopped to further amplify the bold-yet-balanced citrusy and earthy hop aromas. Weighing in at 60 IBUs (International Bitterness Units), this year’s hop blend showcases Cascade, Pacific Gem and Magnum varieties. First brewed by Beau’s in 2008, Beaver River was named in honour of the “Rivière Castor” in Eastern Ontario, which connects Ottawa to many small Ontario communities to the east of the city. Beaver River is packaged in Beau’s signature 600 ml bottles, and retails for $4.55 in Ontario. It is available this spring in LCBOs (www.lcbo.com), at the brewery retail shop in Vankleek Hill, and for home delivery in the City of Ottawa through home delivery service BYBO (www.bybo.ca). It will also be available on tap at a selection of bars and restaurants throughout Ontario – a list of places to find Beau’s beer on tap is available at www.beaus.ca. Details about Québec availability will follow in a release later this month. Beau’s All Natural is a local, family-run, award-winning, certified organic, and totally DIY craft brewery. Founded in 2006, Beau’s brews interesting, tasty beers, including its flagship Lug Tread Lagered Ale, using best-quality certified organic ingredients & local spring water. In addition to Lug Tread,Beau’s offers a growing collection of Year-Round Beers and a rotating Seasonal program, as well as the “Wild Oats” and “Pro-Am” Series. Beau’s has been a recipient of more than 70 awards for brewing, packaging design and business practices, including 2 Gold medals at Mondial de la Bière (Strasbourg, France, and Montréal, Québec); 6 Gold medals at the Canadian Brewing Awards, 7-times “Best Craft Brewery in Ontario” (2007-2013) and 6-times “Best Craft Beer in Ontario” (2007-2011; 2014) at the Golden Tap Awards. As a Certified B-Corporation, Beau’s meets higher standards of social and environmental performance, transparency, and accountability. Beau’s beer is available in Ontario, Québec, and New York State. Oh yeah!